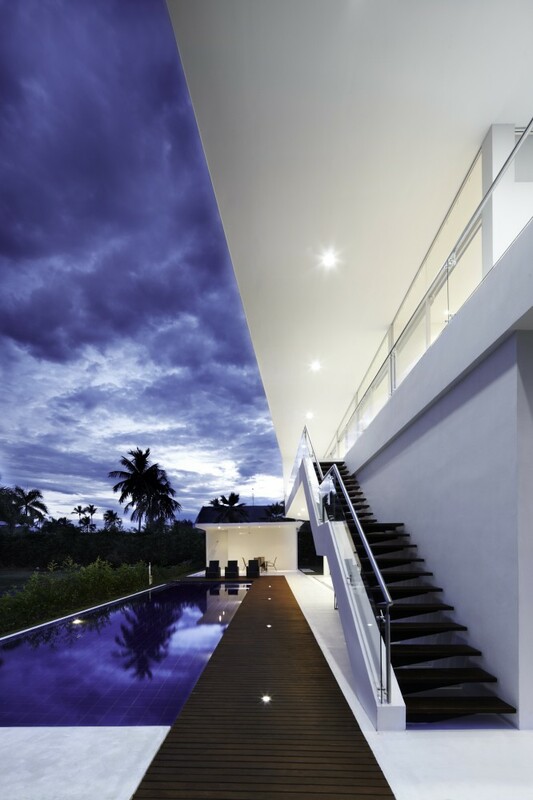 This stunning contemporary home was designed by architect Giovanni A. Moreno Espinosa. Giovanni works with the Colombian based company GM Proyectos Inmobiliarios. GM has some very interesting designs which can be viewed on their website http://www.gmproyectosinmobiliarios.com. We think the home in the pics featured here is pretty cool. Not just because of its open air studio look, its minimalist style but it looks like a place where the Dos Equis guy (most interesting man in the world) would tell inside jokes to complete strangers. Serial Killers are not cool but they may live in cool places. Patrick Bateman, for example had a pretty cool apartment in New York City.